368 in stock Need More ? A companion tale to Sarah J. Maas's #1 New York Times bestselling A Court of Thorns and Roses series that takes place several months after the explosive events of A Court of Wings and RuinTold from the perspectives of Feyre, Rhys and other key characters, this story bridges the events in A Court of Wings and Ruin and the upcoming novels in the series. 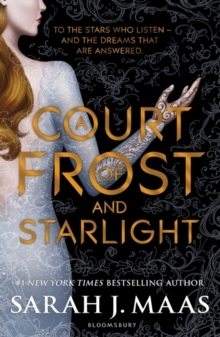 Feyre, Rhys and their companions are still busy rebuilding the Night Court and the vastly changed world beyond. But Winter Solstice is finally near, and with it a hard-earned reprieve. Yet even the festive atmosphere can't keep the shadows of the past from looming.